" Escape to a quiet hideaway and enjoy the natural savoury treat with the nature�s landscape. 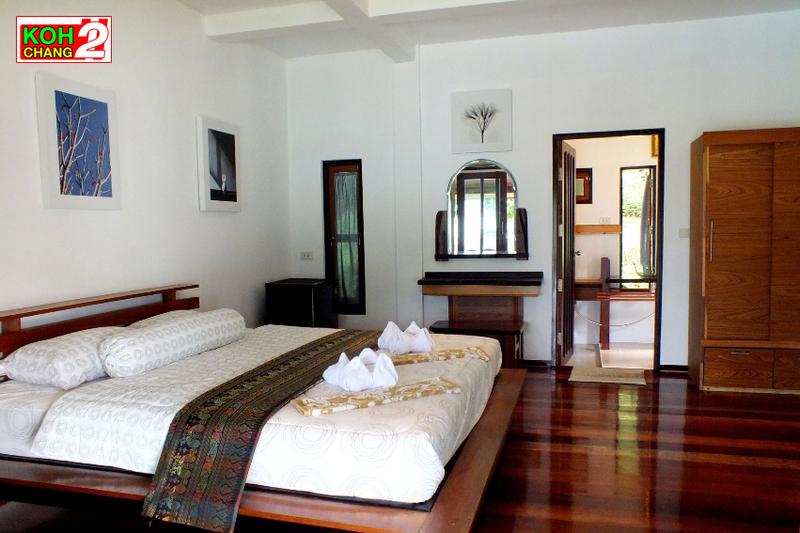 With far reaching mountainous views of Bang Bao peninsula. " 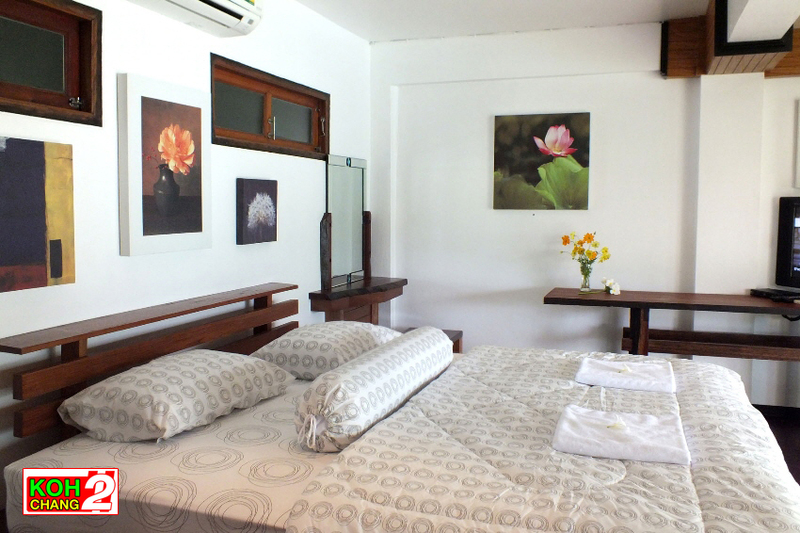 We are a Family Run Resort offering 15 Quality Comfortable Rooms. Our resort is a �Romantic Hideaway�, set in 500sqm of private land, with far reaching mountainous views. Ideally for families or adults looking to avoid the large resorts and who want to get away from the busier beach areas and enjoy some quiet time. Our Resort is located on the eastern shore of Bangbao peninsula overlooking the bay and has approx 50metres of private beach frontage.
" 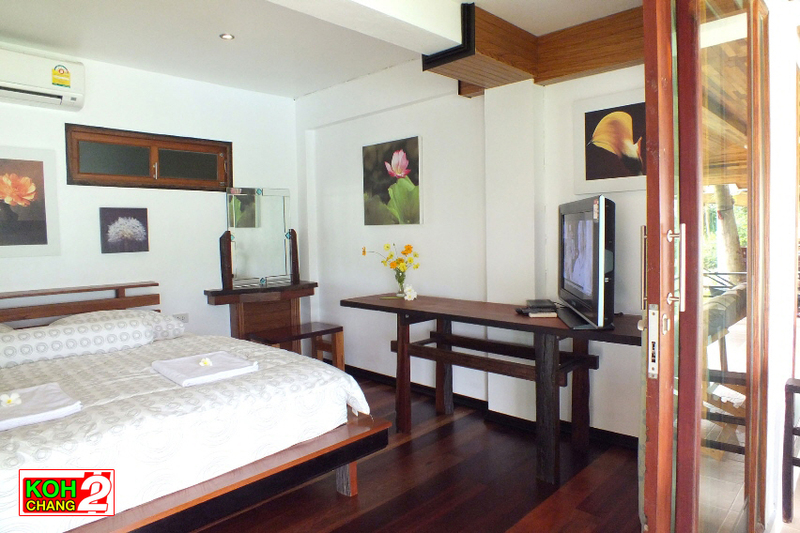 A romantic hideaway with far reaching mountainous views and natural garden. Ideally for families or adults looking to avoid large resorts and enjoy some quiet time. " 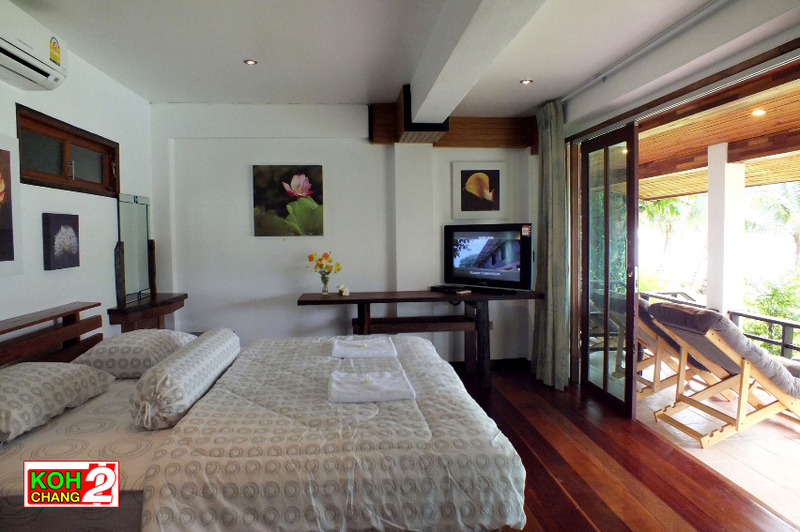 Resolution Resort is located on the Southeastern shore of Bangbao peninsula overlooking the bay. 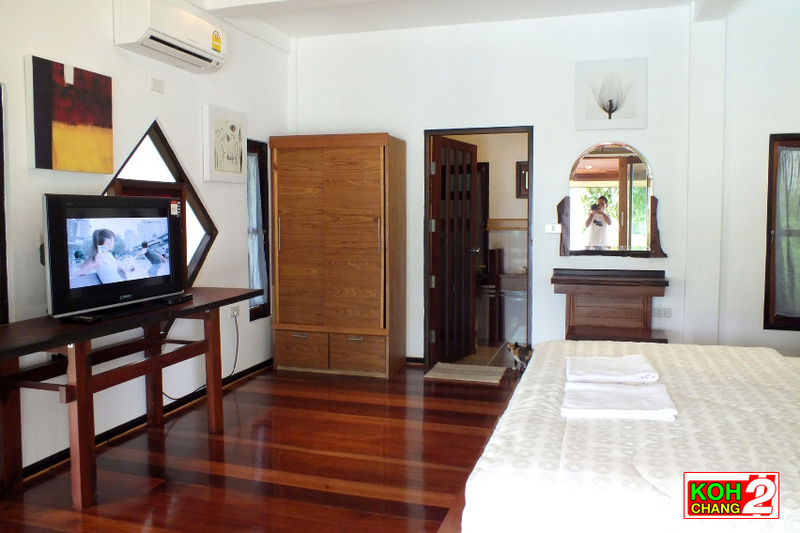 This quiet location is home to a couple of small developments including the luxury Nirvana Resort a few minutes walk away. Our resort is built in a landscaped garden area by a small beach. At the rear, the land slopes steeply up to the access road which runs along the top of the ridge. Due to the quiet location and steps to the access road, the accommodation may not be suitable for the elderly, or young children or even those who do not enjoy some exercise. Sea kayaks can be provided as can a scooter and jeep rental can be arranged in advance if needbe. The closest restaurants are at Nirvana Resort and Cliff Cottages, both under ten minutes walk. In the village you will find a 7-eleven minimart, fruit and grocery stores. Recommended for those of you who enjoy peace and quiet, want to avoid crowds, enjoy the outdoor life, want a place to escape to and work or catch up on your reading by the swimming pool and to wake up to a beautiful sunrise over the mountains on the opposite side of the bay. 8. Kettle in the room. 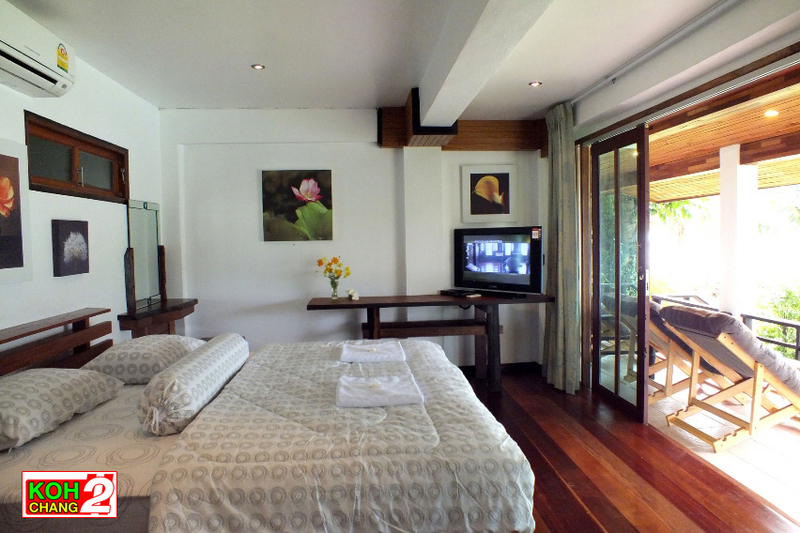 50/5 Moo 1, Bang Bao Bay, Tambol Koh Chang Tai , Koh Chang , Trat 23170 Thailand.